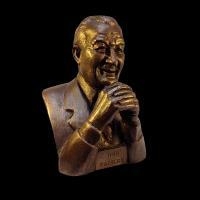 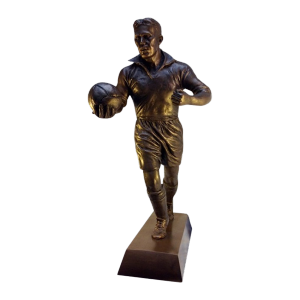 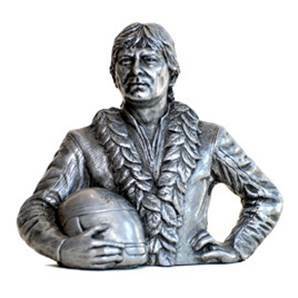 This sculpture, in cold-cast resin bronze, is a scaled down reproduction of the world famous sculpture that stands outside Everton’s Goodison Park Stadium. 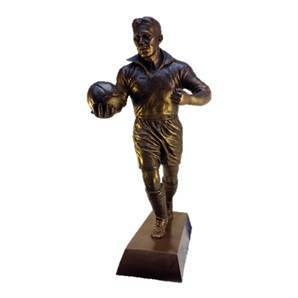 The sculpture shows Dixie Dean defiant and ready for action as he runs onto the pitch. 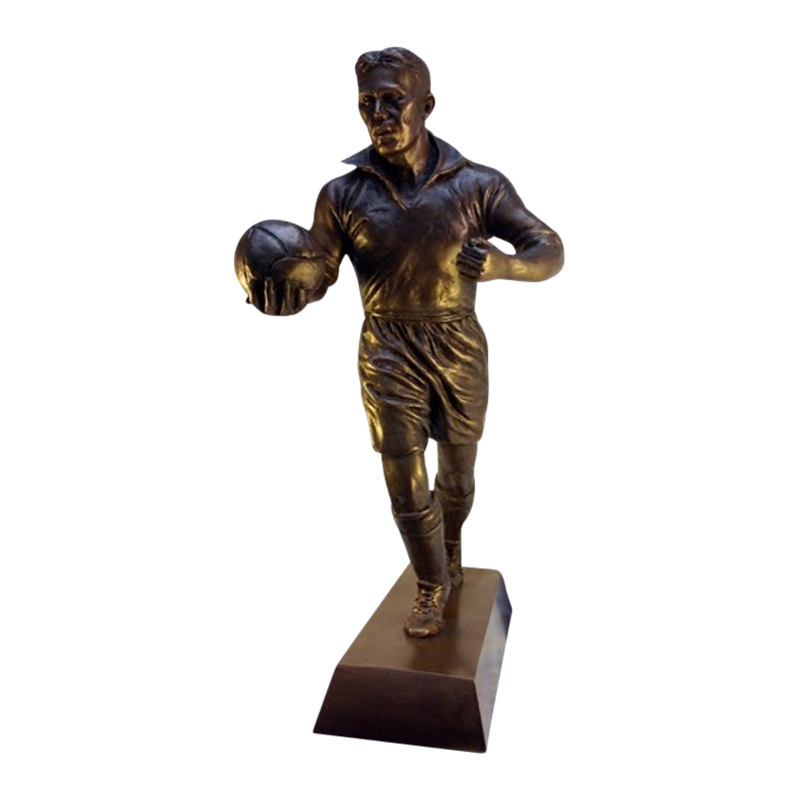 Each model is signed and individually numbered by the artist.